While their views help you decide how to manage your funds and plan for your financial future, what can their wallets tell you about managing your money day to day? Suze Orman, Deirdre Bolton, Cameron Huddleston, Terry Savage, Mandi Woodruff, Karlene Sinclair-Robinson, Kelli Grant, Gerri Detweiler and Sharon Epperson are all experts when it comes to investments, the markets and personal finance. As editors, writers and contributors to some of the biggest finance sites and television shows out there, they're knowledgeable about the myriad factors that can affect your finances. 1. 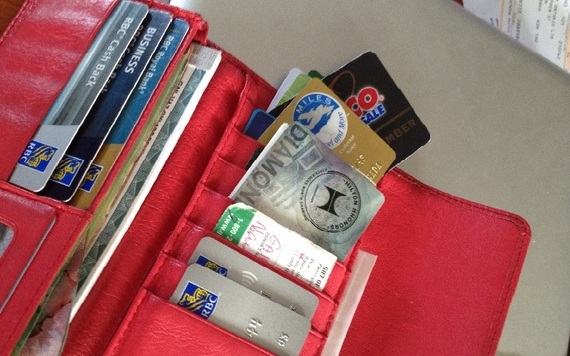 What's always in your wallet (aside from your ID), and why can't you leave home without it? 2. What would you never carry in your wallet and why? "The Suze Orman Show" has been a staple of CNBC's programming for years. The host, Suze Orman, fields viewers' calls to help determine whether they can reasonably afford to make certain financial moves and covers industry news. As such a big name in finance, what's her approach to money? Well, it involves not carrying a dime herself. According to a 2012 interview with HLN, Orman keeps her cash in the pocket of her life partner, KT. "I don't have a penny on me," Orman told HLN. "I don't ever carry money on me." Anchor of "Risk and Reward with Deirdre Bolton" on FOX Business Network, Bolton's background in finance developed during a tenure at Bloomberg Television, anchoring "Money Moves" and the network's morning news programming. Beyond the basics for payment, Bolton carries what she needs to stay fit and healthy. "Debit card, credit card (because I need to pay for things), cash (because I buy a lot of coffee and chewing gum), health insurance and pharmacy cards (because I am a mom), gym card (because I try to fit in exercise, even if just 20 minutes at a time)," Bolton said. 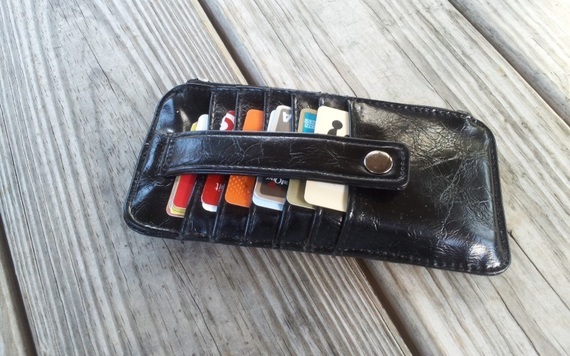 To minimize personal information in her wallet, Bolton stopped carrying her social security card along with some mementos. "I used to carry my mom's mass card and photos of my boys but both got frayed and wrinkled and ruined so now I leave those at home," Bolton said. 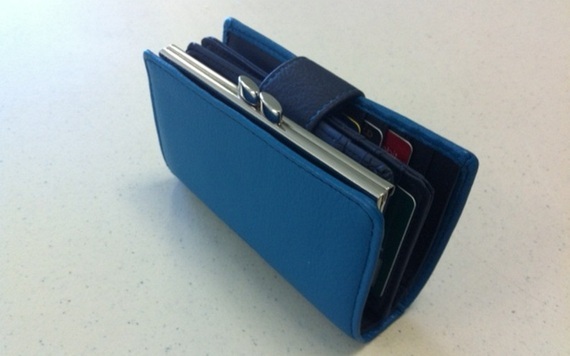 "I also used to carry my, and my kids', social security cards but stopped doing that in case my wallet gets stolen." As the "Kip Tips" columnist and online editor for Kiplinger.com, Cameron Huddleston is an expert when it comes to personal spending and saving. 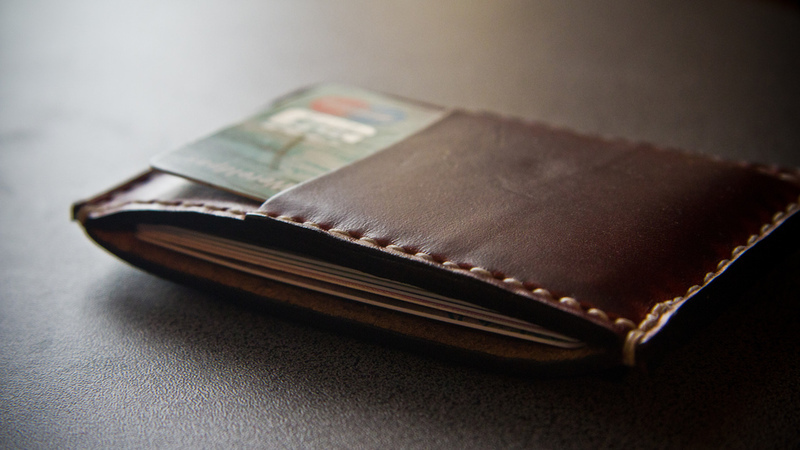 From ways to save $1,000 by Black Friday to the best and worst buys of October 2014, among recent topics, Huddleston's wallet should be a model for what consumers keep in and out of their pocketbooks. "As you can see, I carry a lot of things in my wallet," Huddleston said. "I always have a debit or credit card to pay for things. I typically don't carry a lot of cash. I know some people pay for the majority of things with cash because they find it harder to part with cold, hard cash. But I'm the opposite. 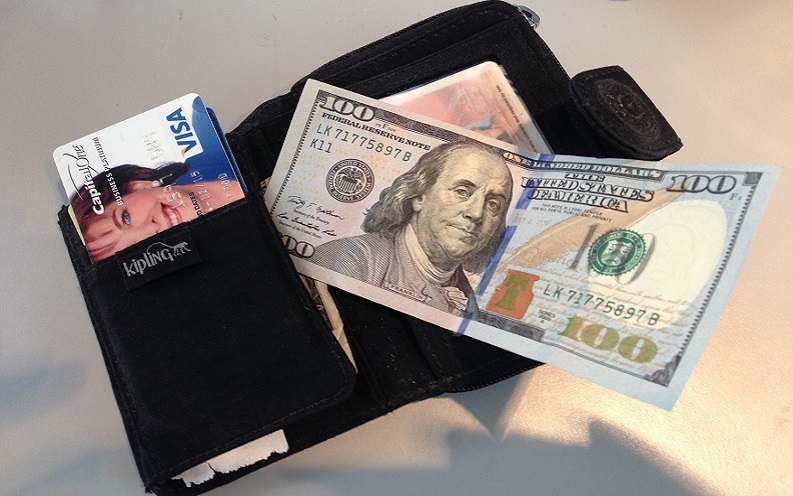 If I have cash in my wallet, I'm more likely to spend it. "I also carry my health insurance cards and a piece of paper with my emergency contact's name and phone number. There are a few rewards cards from restaurants and retailers I frequent. I get a card punched with every purchase then get freebies once I reach a certain number of purchases. And I have my warehouse club membership card. Buying certain items in bulk is a great way to save money." What will you never find in Huddleston's wallet? "I never carry my Social Security card," Huddleston said. "If thieves got my Social Security number, my identity could easily be stolen. I do have a photocopy of my credit and debit cards in case they are stolen. The copies include the phone numbers for the card issuers and my account numbers if I have to report that my cards have been stolen." Personal finance expert Terry Savage shares her expertise regularly on sites like The Huffington Post, and television and radio shows on CNN and CBS. Author of "The Savage Truth on Money" and "The Savage Number: How Much Money Do You Really Need to Retire?," Savage is well versed in financial planning and goal setting. What does she keep in her wallet? "In addition to the usual musts -- my driver's license, health insurance, auto insurance, credit and debit cards, I always carry a folded-up hundred dollar bill," Savage said. " I learned that from my grandmother and mother. It's tough to spend that bill -- but sure would be handy in an emergency. And to be honest, I always carry my Costco card, just in case -- though I only get there a few times a year!" Much like other experts on this list, there's a certain item of personal significance Savage never carries with her. "And I would never carry my Social Security card!" Savage said. "That's the last thing you want stolen if your wallet is taken." Mandi Woodruff is a personal finance correspondent for Yahoo Finance and formerly was an editor for the personal finance section at Business Insider. Having appeared on Daily Finance, The Wall Street Journal and The Fiscal Times, among other publications, her reporting has touched on various financial concepts -- so how has her expertise shaped her personal financial moves? "I never leave home without my debit card and at least one major credit card," Woodruff said. 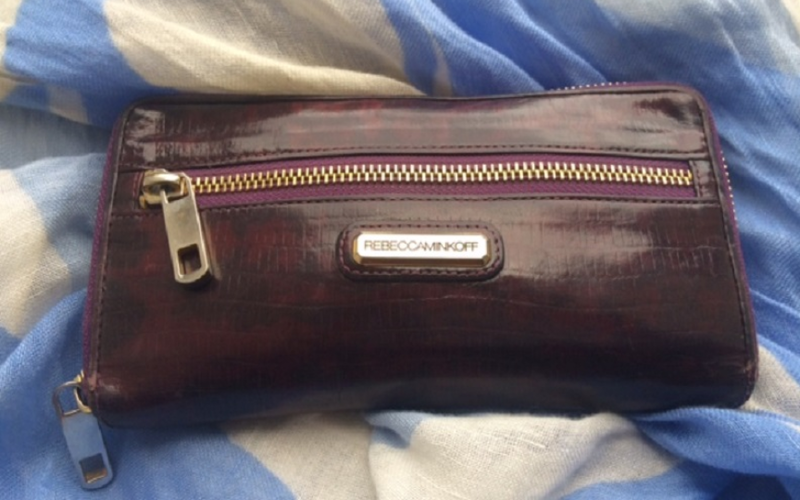 "I carry a big wallet (not a fan of purses) so I have space for my Yahoo badge, metro card, insurance cards in case of an emergency and, of course, a lot of random receipts I should probably clear out of there sometime soon." What won't you find in Woodruff's wallet? "I'd never carry my Social Security card (for obvious reasons -- identity theft being No. 1 -- or anything that has PIN numbers or passwords on it," Woodruff said. "I don't bother with a checkbook anymore (who does?) and I always leave backup credit cards at home (just in case). 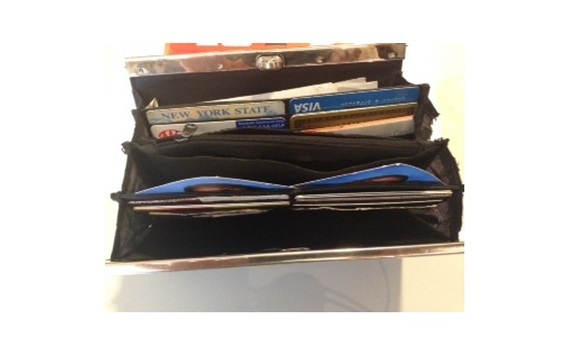 I never want to risk having someone pick up my wallet and immediately have access to all of my money." As an expert in alternative business financing, Karlene Sinclair-Robinson helps businesses that do not qualify for traditional banking solutions get off the ground. With 10 years of entrepreneurial experience, how have Sinclair-Robinson's work and life lessons shaped how she approaches her finances daily? "The items I must have in my purse, aside from my ID, are my medical card, some cash, one credit card and debit card," Sinclair-Robinson said. "I also always carry my health care provider business card. I believe that anything can happen while I'm going about my daily activities and having these items can be helpful if I have to make unexpected purchases or need to seek medical care. "I also don't believe in carrying too much cash. The habit of carrying a wad of cash causes individuals to spend more than they should and can cause them to be targeted by thieves. The amount I carry allows me to feel comfortable enough that if I have to take a cab home or pay for something unexpected, I can do so from the cash in my purse. "I always have my business card in my purse. It has a number that someone can use to make a phone call on my behalf in case of an emergency." What would Sinclair-Robinson recommend you not carry? 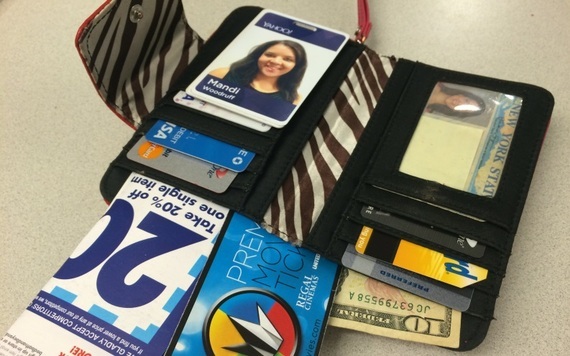 The same items missing from her wallet. "I never carry my Social Security card, passport or voter registration card in my purse," Sinclair-Robinson said. 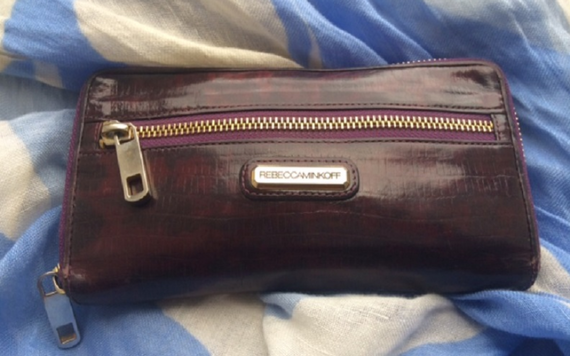 "If my handbag or purse were stolen, this could cause a lot of headache for me. These documents are not the ordinary run-of-the-mill items I need to carry around with me. I don't need to use them on a regular basis, so there's no need to drag them around with me. I leave them in a place where I know they are safe in the case of a theft or fire. "Carrying too many credit cards is a recipe for financial disaster for those who cannot control their spending habits. I don't carry these additional cards as they weigh down my purse and can be a temptation to spend more than I planned. It is always great to end the year with less debt than what we started the year with, so leave them at home." Before her current position as a personal finance and consumer spending reporter at CNBC.com, Kelli Grant was a senior consumer reporter for MarketWatch and SmartMoney.com. With her work featured in The New York Times, among other publications, she knows consumer habits well -- so how has that shaped her approach to money? "Beyond my ID, which is on the other side of the credit card flip, I make sure I have some cash, my debit card and one credit card," Grant said. "For vacation, I bring two, so I'm not card-less if there's a fraudulent charge or other problem. There's also a little more cash than the usual $20 to $40 I typically have on hand, so I don't have to spend the trip hunting for a fee-free ATM. I also carry insurance cards, plus my doctor's business card for easy contact in an emergency, and business cards so anyone finding my wallet can reach me -- and because you never know when you'll need to network. "The few reward cards I have in there regularly include a Rockefeller Center Privilege Card and one for my local New Jersey coffee shop. I'm CPR-certified, so I keep that proof card in my wallet, too." What would Grant advise against carrying? "I try not to carry more than I need at any point. It's harder to impulse spend if I don't have my coupons or store gift card on hand --those stay in a file at home, so I can pull what I need when I'm plotting out errands," Grant said. "Gift cards often can't be replaced if lost or stolen, which is another reason I leave them at home. I don't keep all my credit cards in my wallet, so if my wallet is lost or stolen, I'm not replacing and monitoring every card I own. I usually don't carry checks, either -- that would give a thief my routing and account number. Of course, my Social Security card is NEVER in my wallet. That's in a secure location at home." As a credit expert, Gerri Detweiler knows which financial practices will help and hurt a credit score. Luckily, as an author, blogger, talk show host and speaker, Detweiler has the opportunity to pass her expertise along. 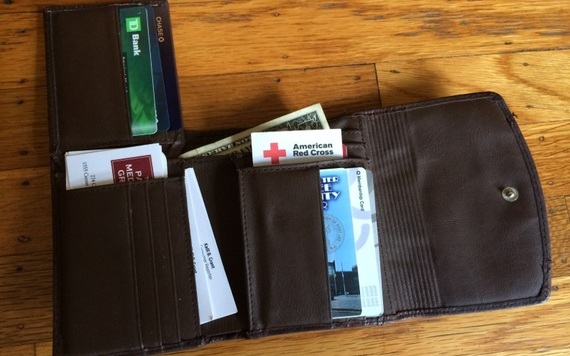 How can you learn from what Detweiler keeps (and doesn't carry) in her wallet? "What's in my wallet? My travel reward credit card, which I use for most of my daily spending. I earned 50,000 bonus miles when I signed up," Detweiler said. "Now I use it to earn additional miles with my purchases, and to get free checked luggage as well as other perks. My Target debit card which earns me 5 percent off of my purchases (even with the discount, though, I can never seem to get out of there for less than $50). I also carry my Costco card and my bank debit card. "I'm not a big fan of debit cards; however, there are times when I need to get cash. My debit card is not tied to my main checking account. It's tied to a secondary account and if I need money I just transfer money from my main account to that one. That way I don't have to worry about any major hassles if my debit card is compromised. I also carry my insurance cards for health insurance and auto insurance. Neither of them have my Social Security number on them so I am not uncomfortable about carrying them. I also carry my Flex spending card to use for medical expenses such as prescriptions, doctors visits and contact lenses. I also always carry my library card, I love my local library." What does Detweiler never carry in her wallet? "Credit cards that I don't use frequently, such as retail cards," Detweiler said. "I don't carry my Social Security card either since I would never want that stolen. There's usually not a lot of cash in there either. I tend to charge almost everything to earn rewards as well as to keep track of my spending." Sharon Epperson is a personal finance correspondent for CNBC. She's covered topics ranging from retirement to mortgages and student loans. With this breadth of expertise, how does she manage her own finances? "I always have my debit card and a credit card (American Express) in my wallet," Epperson said. "Notice there is no cash, just a few coins. I usually try to keep at least $40 in there, but used up my "allowance" for this week. Plus, for virtually every transaction I make, I can pay with a debit or credit card. Since I have digital access to my transactions (online, mobile), I find I keep better track of my finances when I use my debit or credit card for most purchases. 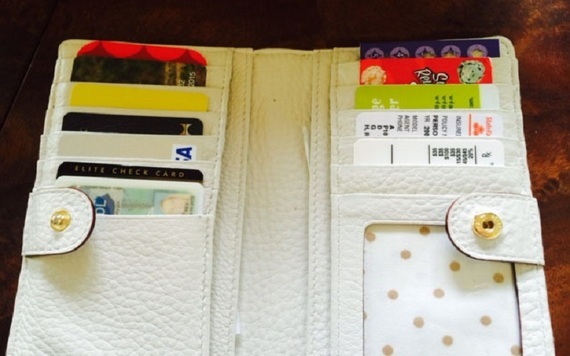 "I also keep my kids' school photos in my wallet. My son is 12 and daughter is 9. I like to look at these "once-a-year" pics every now and then and marvel at how much they've grown." Gail Vaz-Oxlade is a trusted personal finance guru. Boasting 13 books and countless television and radio appearances, she is a trusted advisor to listeners and readers when it comes to their finances. So what's in Vaz-Oxlade's wallet? "In my wallet are my two cash-back credit cards (one for business, one for pleasure) and one debit card, money (I usually have about $200) and reward cards like my Costco membership card, Airmiles and my hotel points cards," Vaz-Oxlade said. "Oh, and a checkbook. I would never carry my government cards (health or social insurance). My social insurance number lives in my head and I carry a color photocopy of my health card. It always works." What's in Warren Buffett's Wallet?